Dr. Michael Gonzalez is the director and part of a team of doctors involved with the ETHAN program. 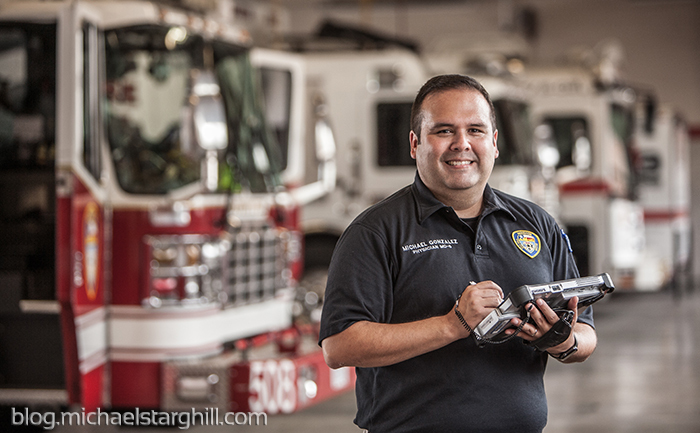 ETHAN is Houston's answer to busy emergency rooms and unnecessary ambulance runs. It's a program that allows people who call 911 to have a video conference with an actual doctor to determine if they need an ambulance trip to the ER or just an appointment to the nearest clinic. I'll let you read more about it here. Shout out to Houston Fire Station 8!